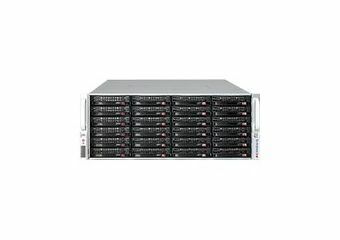 Optimized for enterprise-level high-capacity storage applications, Supermicro's SC847 chassis features 36 x (24 front + 12 rear) 3.5" hot-swap HDD bays as server chassis in a 4U space. 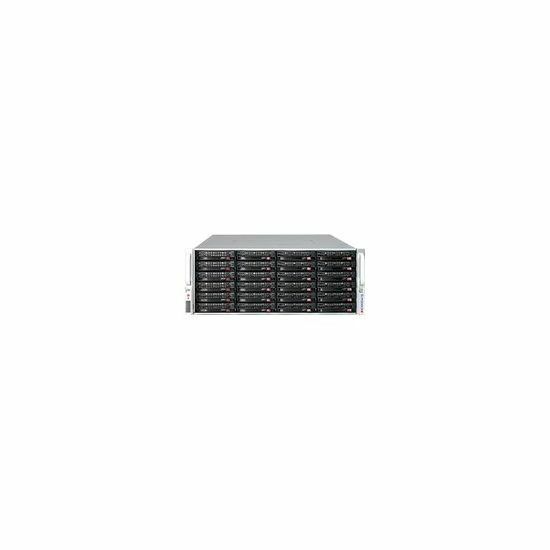 The SC847 design offers extra high-density of HDD per space ratio in a 4U form factor, high power efficiency, optimized HDD signal trace routing and improved HDD tray design to dampen HDD vibrations and maximize performance. Equipped with high-efficiency redundant power supplies and hot-plug redundant cooling fans the SC847 is a reliable and hassle-free maintenance storage system. Udvidelses-båse 36 (total) / 36 (fri) x hot-swap - 3.5"